I cannot imagine perceiving my father as a monster. Bart Millard saw his father as a monster and more. My dad was warm, gracious, fun, affirming, friendly, professional, caring. A loving husband. By example and precept he inspired me to aim high in life, school, work, and relationships. As a boy, I loved playing catch with him, shooting baskets, attending football games, hanging out. Throughout life, when I failed, he was there to console me, to help me pick up the pieces and move on in a positive direction. Bart’s dad, Arthur, was any kid’s worst nightmare. Anger and rage consumed him often and drove Bart’s mother away. Bart often felt the leather strap and paddle. “As I became a mischievous toddler,” he recalls, “my spankings slowly escalated from normal discipline to verbal and physical abuse.” Arthur once smashed a dinner plate over Bart’s head. Eventually physical abuse morphed into silence and indifference. I Can Only Imagine could be a depressing movie and book if the story ended there. But the tale behind the popular song of the same name by the band MercyMe could inspire anyone whose life has seemed a hopeless highway to hell. The cast includes Dennis Quaid, Oscar-winner Cloris Leachman, singer Trace Adkins, author/actress Priscilla Shirer, and Broadway singer J. Michael Finley. Bart is careful to explain some factors beyond his dad’s control that contributed to poor character development. Arthur’s own father’s divorce and quick remarriage had thrust ten-year-old Arthur into head-of-household responsibilities far too early, sowing seeds of anger and bitterness. A horrible on-the-job traffic accident put Arthur in a coma for eight weeks. After that, his temperament seemed skewed, and rage filled their home. Young Bart found escape from family strife and loneliness in music and friends, often through his church youth group. Inspirational music lifted his spirits. The group leader and members helped instill stability and faith. During a camp session, Bart placed his trust in Jesus. But he couldn’t forgive his dad. The DJ invited the band to be on his show and the song’s popularity spread among mainstream stations. MercyMe appeared on Ryan Seacrest’s radio show and on The Tonight Show with Jay Leno, and now has performed at Radio City Music Hall, The Today Show, CBS This Morning, CNN and ABC News. Paul, an early follower of Jesus, wrote of his Lord’s ability “to do immeasurably more than all we ask or imagine.” Getting Bart to forgive his dad falls into that category. This film is well worth seeing, contemplating, and applying. In last week’s post, I talked about the steps to take if someone has done something against you, and more specifically against God’s principles, but isn’t willing to admit he’s wrong. But what if he does realize he is wrong? What if he is sorry and asks forgiveness? What if he has asked for forgiveness a dozen times before, but he keeps asking for forgiveness for similar things? At what point do you stop being patient? At what point do you stop forgiving? Peter asked Jesus that question in Matthew 18:21. Peter also suggested a possible answer. He suggested that seven would be a good number of times to be willing to forgive someone who has sinned against you. This was actually quite generous on Peter’s part, since Rabbinic teaching held that you should forgive three times, and you needn’t forgive the fourth. So Peter was doing his best to be loving, but Jesus wanted more from him—and from us. Jesus said to him, “Not seven times, but seventy-seven times.” (Matthew 18:22) Now, do you think Jesus meant that Peter should get out his scroll (or shard of pottery since they were easier to come by) and keep track of each time he forgave someone? Then stop when he got to 78? I don’t think that’s what Jesus meant. I think the number Jesus gave was significantly larger than the one Peter gave, and even more significantly larger than what the rabbis taught, that His listeners would get the idea: keep on forgiving. Jesus followed this answer with a parable to reinforce His teaching. (Matthew 18:23-35) Jesus tells the story of a servant who owed a great debt to his master. The master said it was time to collect, but the servant couldn’t pay so he begged for more time. Now, the servant owed 10,000 talents. A talent was the largest unit of money, and ten thousand was the largest number for which the Greek language had a specific word. Jesus’ use of these huge amounts would have had the desired effect on his listeners. There was not enough time in his lifetime for the servant to ever be able to completely repay this debt. His master had mercy on him, and forgave the debt. One would think the servant would be grateful for mercy in the place of justice. He justly deserved, according to the laws of the time, to be sold into slavery, along with his family so that at least some of his debt could be repaid. Instead, he was free to go and owe nothing. But he wasn’t so kind to a fellow servant who owed him 100 denarii. A denarius was equivalent to a day’s wage for a labourer, and 100 days’ worth of income--27.4 percent of a year’s income--was not an insignificant amount. It would have taken some time for that servant to pay back such a debt also. However, since a talent was worth 6,000 times more than a denarius, and the first servant owed 10,000 talents compared to the second servant’s 100 denarii, the amount of debt relief received by the first servant would make up for what was owed by the second servant many, many times. The debt that was cancelled by the master to the first servant was an enormous act of mercy, and represents God’s act of mercy in giving up His own son to pay the debt that we could never possibly pay. All he asks from us in return is that we forgive the small things that our fellow disciples do to us. Significant, perhaps, but nothing compared to the mercy we have received from God. And he wants us to keep on forgiving them, without keeping a count. Published on May 29, 2013 Categories Ephesians, Forgiveness, Peace, Truth, UnityTags anger, Ephesians, forgiveness, self-control, sin, unityLeave a comment on Ephesians 4:26-27 Step Away Satan! Last week, when we were talking about the model prayer that Jesus gave His disciples, I made quick mention of Matthew 6:14-15. I think these two verses warrant a little further discussion. As I said last week, Jesus has already paid the price for our sins, and His gift of forgiveness is freely available to us; all we have to do is accept it. Our request for daily forgiveness helps us to be aware of our own sins, and helps to keep us in a right relationship with God—one where we depend on His love and grace. We must also remember that forgiveness is not the same as reconciliation. Dr. Grant Mullen, author of Emotionally Free explains. “Forgiveness involves just you and God. Reconciliation requires another person. So, just because you forgive doesn’t mean you’re reconciled or that you have to reconcile. Some people are just too dangerous to reconcile with. You just have to forgive and be separate.” Let us hope that that is not true of our fellow followers of Christ. God would like us all to be one family, His family, characterized by love for each other, but since we live in a fallen world, that isn’t always possible. We cannot always determine how others will act toward us, but we can control how we act towards them. If we want to do it God’s way, that will be with love and forgiveness. Today's post was written by Donna L. Watkins. With forgiveness being recommended now even by the medical world, many are looking for specific steps to be used in forgiveness. There are many "techniques" out there and many people have been through all they've read, and faithfully followed through with the suggestions, but still have this burning sting from words that were hurled at them at some time in their life -- or for actions that spoke much louder than words -- and they don't know how to get beyond what "that person did." I had decided to take a stand against listening to "evil reports" of other family members and that was grounds for termination in his mind. It seems life holds nothing else for him but to repeat the worst of the tv news, weather or family issues. I didn't see that it was a relationship at all if the only function I was to have in his life was to listen to the ranting and reviling. Then I also heard he'd already begun talking about it to other family members. I certainly wasn't surprised that he did, but I was very surprised that it bothered me. I was actually relieved that I took the stand and said that I didn't want to be in the middle of it. Admittedly I was initially delighted that he would no longer be calling 3-4 times a week for those downgrading conversations. The more I would try to add positive comments to these conversations, while trying to honor his position in the family, the more useless I felt about it all. He seemed to think I was a Pollyanna and it was exhausting to find enough Light to cover the Darkness that he chose to talk about. The cool part of the deal is that the books says, "Notwithstanding the serious nature of reviling and the severe consequences for those who engage in it, there are great rewards for those who endure reviling and understand God's purposes for allowing it to occur. Matthew 5:12 tells us to "Rejoice and be exceeding glad: for great is your reward in heaven." It gave a story of a little girl that had been stung by a bark scorpion, the most poisonous scorpion found in Arizona, which results in excruciating pain and numbness, then swelling, physical weakness, dizziness, tightening of the throat, and tingling of limbs. Since this had happened before to the mother, they now had a small device that produced a high-voltage, low-current electrical charge. When electrodes from this unit are placed in the area of the sting or bite, they send a positive electrical charge into the victim's bloodstream. This, in turn, neutralizes the venom, which has a negative charge, and renders it harmless. This leaves only a mild soreness for a short time and a small mark of where the scorpion struck. On a mission trip, a student was reviled by the leader during a heated conversation. The incident hurt and shocked her and weeks later she was still emotionally involved in the incident while continuing to rehearse the reviler's words in her mind and feeling the pain each time she did. My prayer for blessing my enemies is that those blessings will overcome the darkness of the curses that have caused them to be so angry. If you will look back on the situation you struggle with, you will find ways that God blessed you because of it.
" I called the writer of the first article and tried to explain what I thought he had misunderstood. He reacted, and matters became worse. When the second article was published, God prompted me to have a different response. I called the writer. When he learned that I was on the phone, he cautiously answered. I then said, 'I have called to tell you how God has used your articles to benefit my life and ministry." He was totally surprised and said, 'Oh?' I continued and explained that God had used his article to do a work in my life, and in the ministry in three very positive ways.
" I'm sure the writer was not expecting this response. He became warm and friendly, and thanked me for my call. God has blessed both of our ministries since that day .... and today I consider him a friend." Can you imagine what it would be like to have an abortion that didn't succeed? Can you imagine what it would be like for the baby? To be honest, I can't really imagine either scenario. It's not something that I've thought very much about until the last few days. On Wednesday I posted a movie review written by my colleague, Rusty Wright. 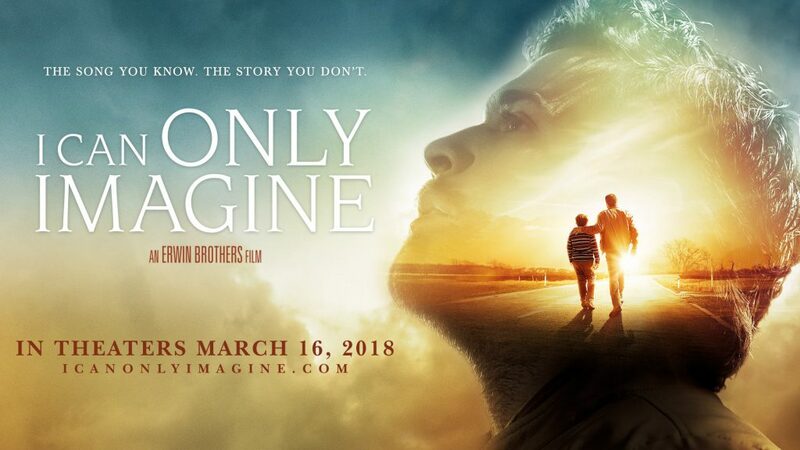 The movie is October Baby, the story of a young woman who finds out not only that she was adopted, but that her birth mother had intended to abort her. This story was inspired by Gianna Jessen, who really did survive abortion. You can meet her, and the makers of the film, in the following video. October Baby movie: Do you feel wanted? Almost everyone wants to be wanted … by their spouse, lover, friends, parents. How would you feel if a person whose love you craved not only didn’t want you but also tried to eliminate you? For nineteen-year-old Hannah Lawson, that feeling drives a quest to discover her real identity. You see, she’s just learned the likely cause of her mysterious lifelong health problems: She’s the product of a failed abortion attempt. October Baby traces Hannah’s journey of bewilderment, anger and anguish as she searches for her birth mother and wrestles with family secrets. Romance, laughter, faith and forgiveness mix with pain and turmoil on this attractive teen’s odyssey. Abortion, of course, is a thematic powder keg, and this film – inspired by a true story – may generate some provocative headlines. But its screenplay is caring – not condemning – in fleshing out the human consequences of choices and reconciliation. Hannah’s adoptive parents (John Schneider, Smallville, The Dukes of Hazzard; Jennifer Price) struggle wondering what their daughter can handle about her past. But Hannah’s determined search for answers becomes an entertaining and gripping saga that blends sleuthing with tender young love and sweet forgiveness. In a particularly touching scene, she wanders into a lovely cathedral. “I can’t figure out how to let go of the fact that I feel hatred for myself and others,” she explains to the kindly priest. Life imitates art in some eerie ways. Shari Rigby, who plays Hannah’s birth mother, actually had had her own abortion 20 years earlier. She had kept it a guarded secret and felt stunned when approached for the part. During a climactic cinematic moment, her character collapses in tears as she faces the significance of Hannah’s life. Rigby admits she wasn’t acting then; the tears were genuine as she experienced personal emotional and spiritual healing. I highly recommend this stimulating and entertaining film, regardless of your views on abortion. Even if it doesn’t touch you emotionally as it did me, I predict it will get you thinking. Check here to find a theatre in Canada. Author LCPublished on November 18, 2011 Leave a comment on Romans 8:33-34 Not Guilty! Don’t get me wrong. There are consequences to our actions when we do things that we shouldn’t, and we do still have to abide by the laws of our land. We have, however, already been forgiven for all of these things. The price has been paid, and there is no eternal condemnation. Yes, there will still be trials and struggles, but God has overcome all of these things, and they are temporary. We can have hope and assurance of salvation. Published on November 18, 2011 Categories ForgivenessTags forgiveness, grace, guilt, RomansLeave a comment on Romans 8:33-34 Not Guilty! Are you old enough to remember what life was like before Facebook, Twitter and other social media sites were created? Can you think back to a time before the Internet was a common term? If you are too young for that, you might not understand what I’m talking about, but life was different then. Now, people announce everywhere they go and every little thing they are doing. Things that never used to be considered important enough to mention to anyone now get shared with everyone. That sheds a whole new light on Matthew 18:15-17. Decades ago, if someone had been offended by someone else, they may have been tempted to tell their close friends, and even though that was inadvisable, the matter would have still remained relatively quiet. Now, if someone is annoyed by something, it will very likely get posted to Facebook for hundreds of other people to see and share their opinions about. The procedure given in Matthew 18:15-17 is probably intended for more serious infractions that may result in excommunication if taken to the bitter end, but I think that the principle is still valid for interpersonal grievances as well. If you are upset with someone because of something they did to offend you, and you wish to resolve the issue and preserve the relationship, announcing your frustration to the world is not likely to help your cause. It is possible that the other person has offended you without even realizing it. If that is so, the matter will be resolved quite easily once you share your hurt. If it was an intentional slight, you will at least know where you stand. We are asked to forgive (Matthew 18:21-22, Luke 17:3-4), and we are asked to love our neighbour (Luke 10:27), but we are not required to remain friends with anyone who intentionally abuses us. We can be respectful to them. We can be gracious and civilized. We can follow God’s steps for reconciliation. But if, in the end, they don’t want to do their part to contribute to a healthy relationship, you do not have to continue to associate with them. If they are family members, of course, it may not be as easy as all that, and that’s where the graciousness and civility will be essential. Nonetheless, we don’t have to go out of our way to spend time with them. At the point where they are ready to adjust their behaviour, because you have already forgiven them, you will be ready to renew the relationship.